Bang! 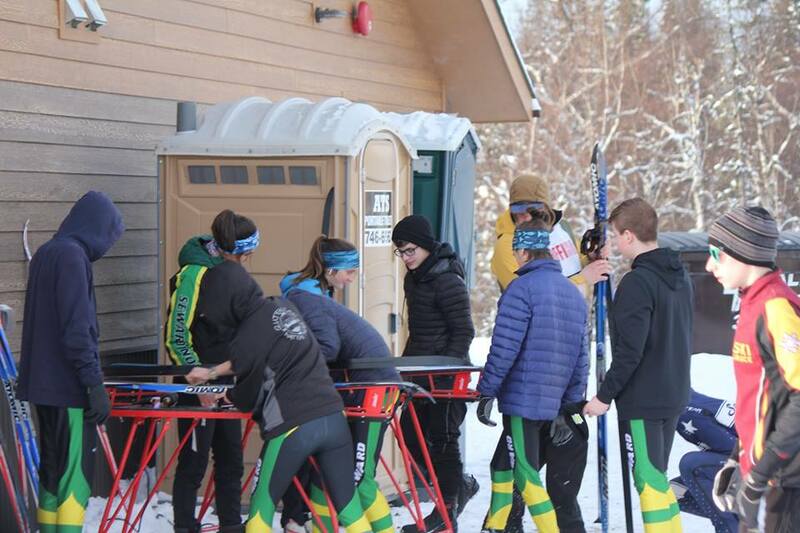 goes the gun, as our Seahawk skiers race to the finish! Carving the snow, these skiers really push limits to beat their times. 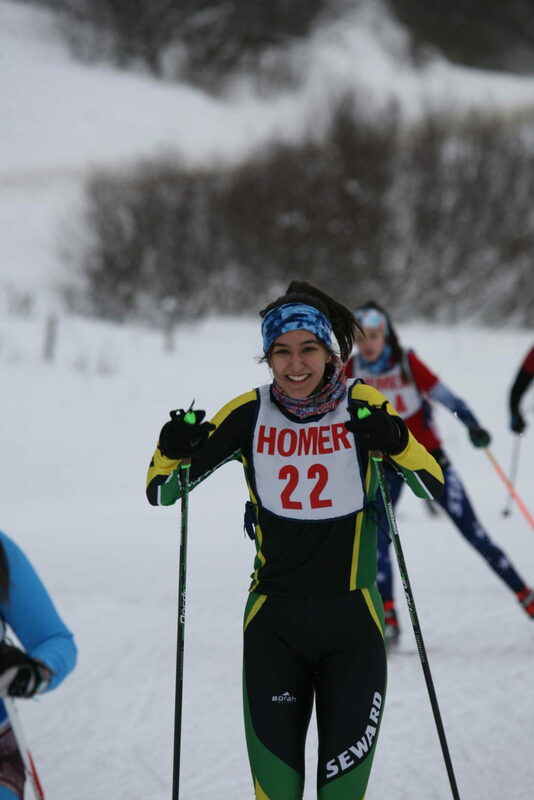 Our SHS snow bunnies are not to be messed with when given a good pair of skis and a course to dominate. 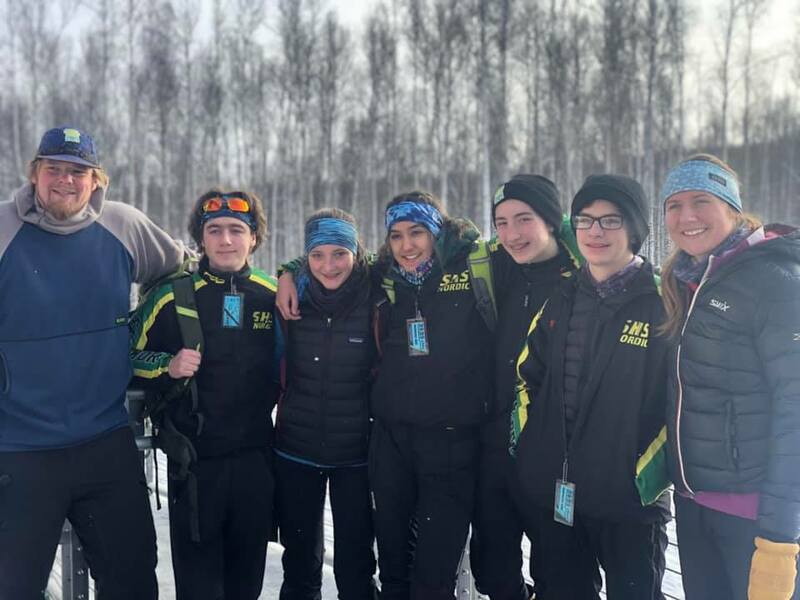 The season lasted all the way to the state competition held in Fairbanks, where Sadie Lindquist, Sam Paperman, Cody Bryden, Lucy Hankins, and Clay Petersen skied to their breaking point. Sadie raced her way up to 6th place in skate and 9th place in classic. Her friend, Lucy, finished 17th in skate. Clay left it all on the course, making 5th place in classic, and Cody made 10th in the skate race. This year’s team got bumped up by six freshmen: Luke Gunter, Peter Spanos, Gavin Foote, Joseph Foutz, Matthias Wood, and Belladonna Proietti. 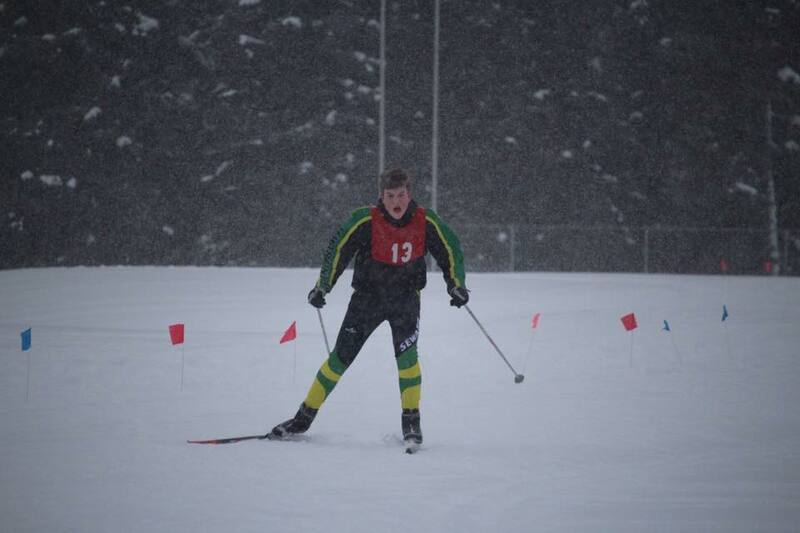 The team enjoyed getting out in the snow everyday, and making each practice a fun day filled with laughs. 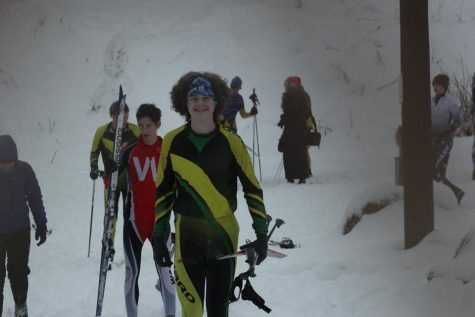 Belladonna, Matthias, and sophomore Clay Petersen gave skiing a chance this year. 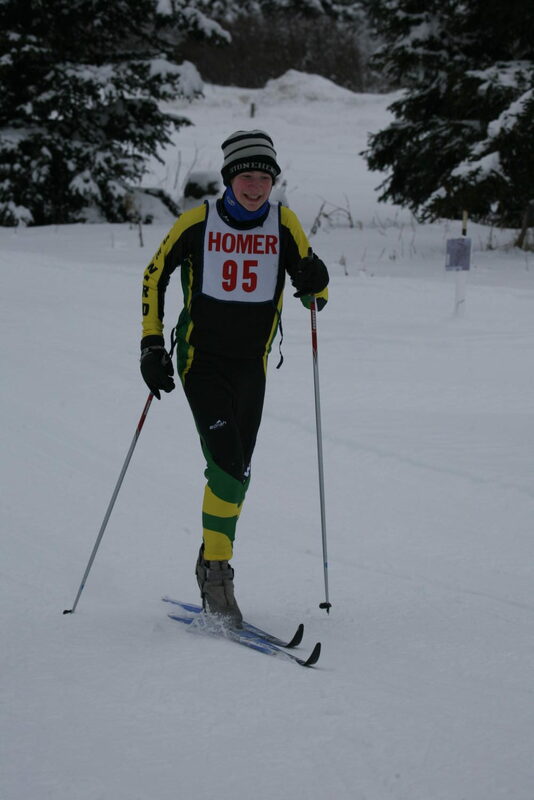 Hoping for this sport to be filled with fun and good times, they leapt into the season with high hopes. I can assure you they were not disappointed! Clay joined because it “sounded like fun,” and started this season with a goal to beat his friend Sam in at least one meet. 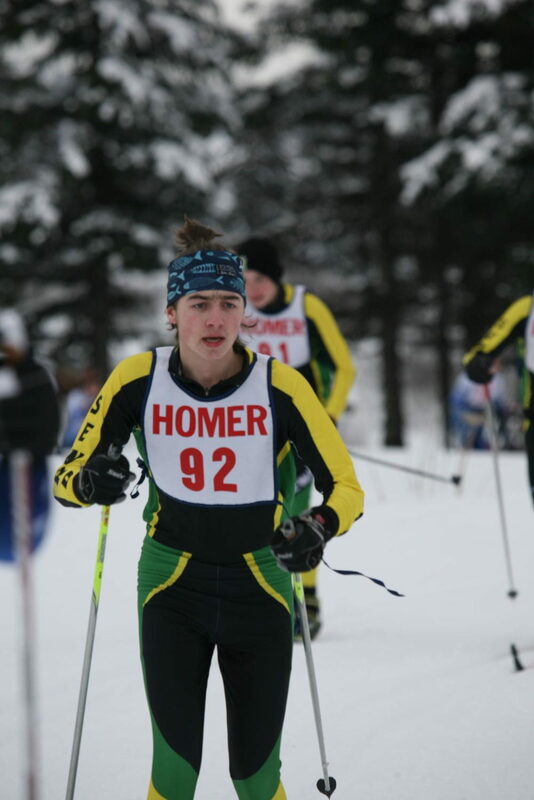 As luck would have it, he did just that in the classic race, finishing in 3rd place, at the second meet hosted in Homer. 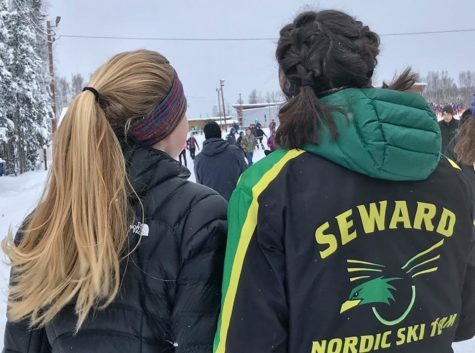 Both his favorite and worst meet was his last–state held in Fairbanks.“Classic was fun, but skate was hard.” Though Clay felt like he “died” on that weekend, he enjoyed spending time with his team. They got along “great, and we’re all pals.” Clay can’t wait for the snow to start falling next year, and beat his friends in the meets to come. Some highlights this season was the fact that it was enjoyable for everyone! There was a bit of inconvenience with the amount of snowfall this year, but everyone had a blast. The best meet the team faced this year occurred in Homer. Our racers destroyed the course achieving high rankings. In the skate races, Sadie placed 2nd, and right behind her Lucy placed 4th. Cody also placed 4th, and Sam 6th, while Clay made it to 8th. For the classic races, Clay sped his way up to 3rd place. This year, Sadie also enjoyed how their coach, Zach Cureton, encouraged them. 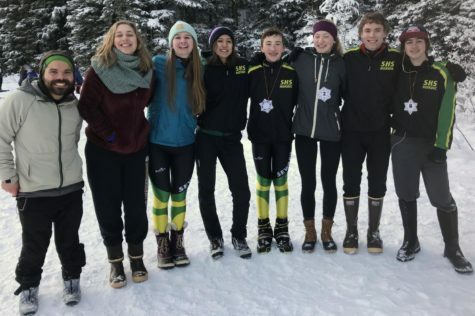 This was Zach’s first year coaching this sport, but that didn’t stop him from pushing his team. 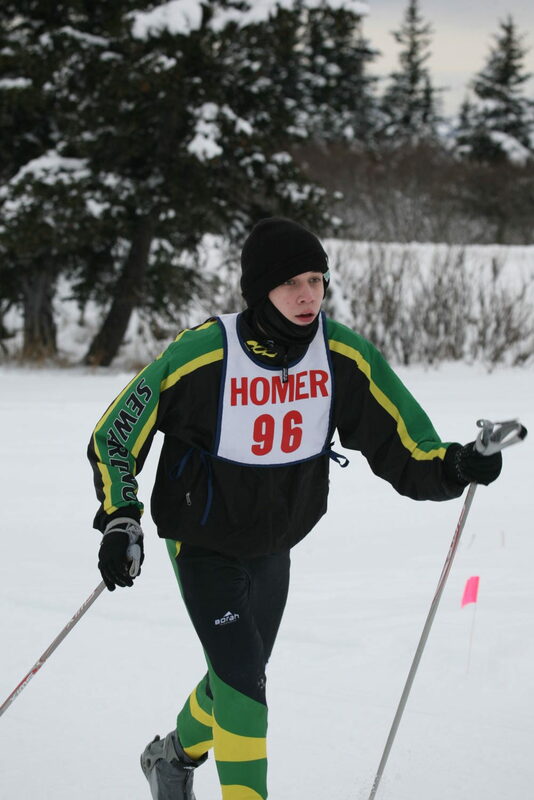 Although, he has never cross-country skied, he didn’t let that stop him from jumping on the opportunity. Instead, he allowed his team to teach him the ropes a bit. Zach kept everyone on their toes, and was always picking up everyone’s spirits. I myself have had the chance to experience this amazing sport. 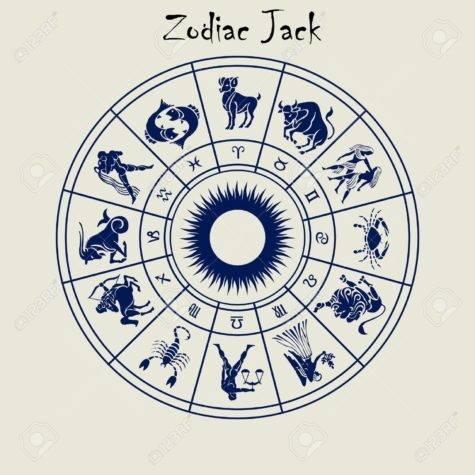 It is filled with tough uphills, but “with every uphill comes a thrill riding downhill!” Take a chance, and throw on some skis because it is worth it! If you don’t mind the chill, you can experience this sport for yourself.